A group of youngsters who are blind or partially sighted were given the opportunity to experience driving for the first time at a special event held at Bristol Cribbs Causeway. Young Driver offers driving lessons to anyone aged 11 and over – including those with disabilities, which may mean they will never be able to legally drive on the roads. Because Young Driver lessons take place on private property, normal restrictions do not apply. 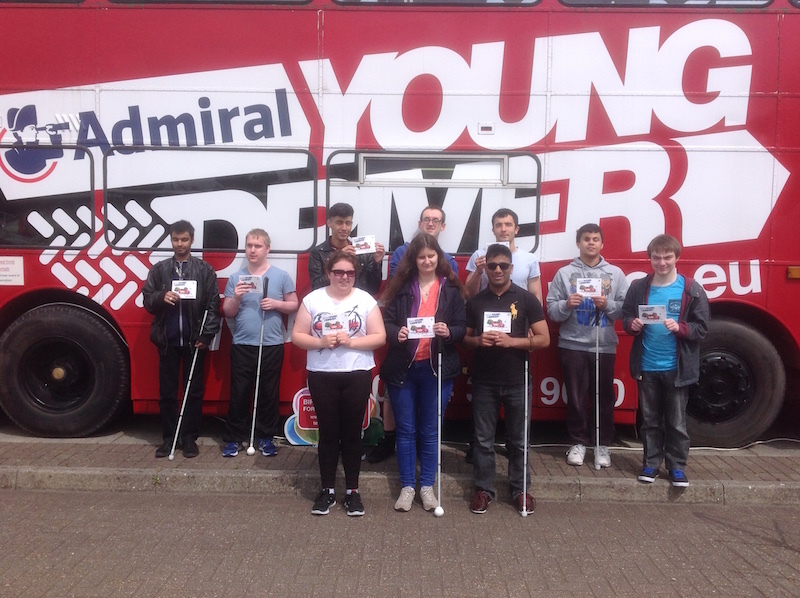 A group of 10 young people aged 18 to 25, from the charity Action for Blind People, got behind the wheel in dual controlled cars. They manoeuvred through the mock road system, navigating obstacles and other traffic, trying their hand at parking and practising changing gears, all with the assistance of fully qualified instructors. The activity was a part of a National Transition Week, funded by the Big Lottery. Young Driver was set up in 2009, and has now given more than 200,000 lessons at 35 venues across Britain. As well as offering the chance to try driving to those who may not otherwise have the opportunity to experience it, the scheme also aims to reduce the high number of accidents involving newly qualified drivers by teaching youngsters from an earlier age and over a longer period of time. On average, one in five currently crash within six months of passing their test, as opposed to one in 10 Young Driver past pupils. Be the first to comment on "Blind youngsters given the opportunity to learn to drive"